Arsenal finished at 6th place in Premier league and this year once again club failed to qualify for the champions league. 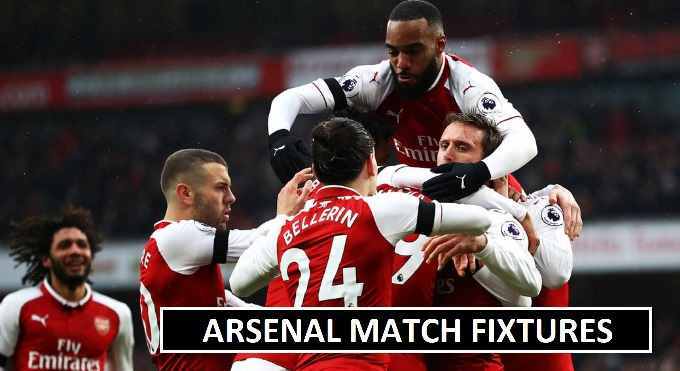 Just after the premier league season is over, the club announced the schedule for pre-season games. Arsenal take part in the International Champions Cup 2018. Their pre-season tour began from home country where they play first friendly match against (Boreham Wood). Later Arsenal travel to Singapore where they will play champions cup matches with two teams (PSG and Atletico Madrid). Arsenal travels to Sweden to play the final pre-season game against arch rival from EPL (Chelsea) at Solna. Who will replace Arsene Wenger position at the club it will be announced before the season break will over. Checkout the further details of Arsenal friendly matches.